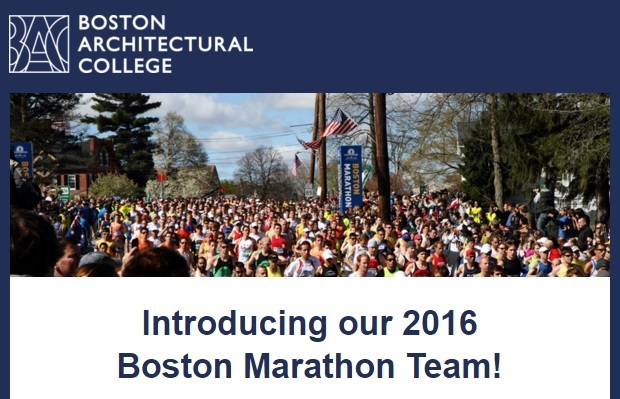 For the second year in a row, The Boston Architectural College will have its very own Boston Marathon team, with two members of the BAC community running 26.2 miles in support of the College. 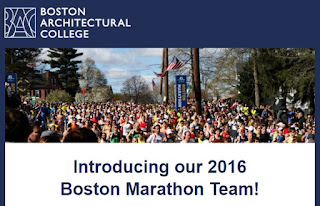 Juan De Loera, a student in the Master of Architecture program, and Crandon Gustafson, Dean of the School of Interior Architecture, will represent the BAC in the Boston Marathon on April 18, 2016. To find out what motivates Juan and Crandon to run for the BAC, and to show your support for the team to collectively raise $20,000 for the BAC Fund, please visit each of their fundraising pages. Every gift, large or small, will help them in their quest to reach 26.2!